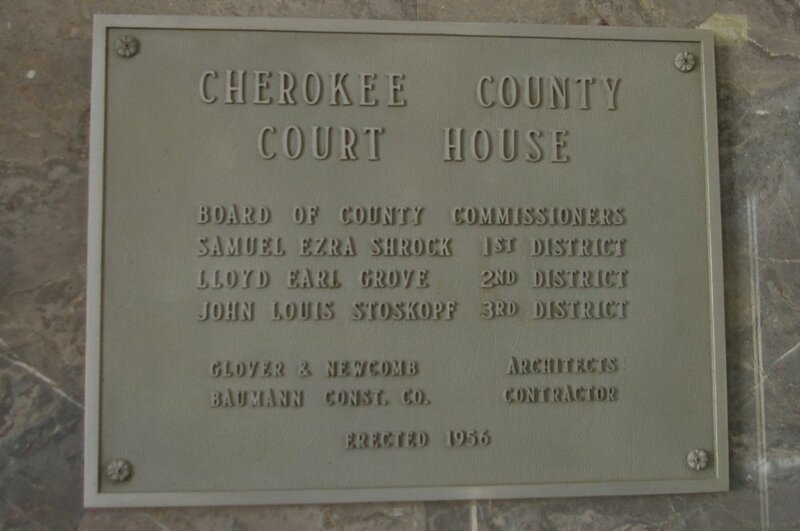 Cherokee County is named for the Cherokee Native American tribe who resided in the region. 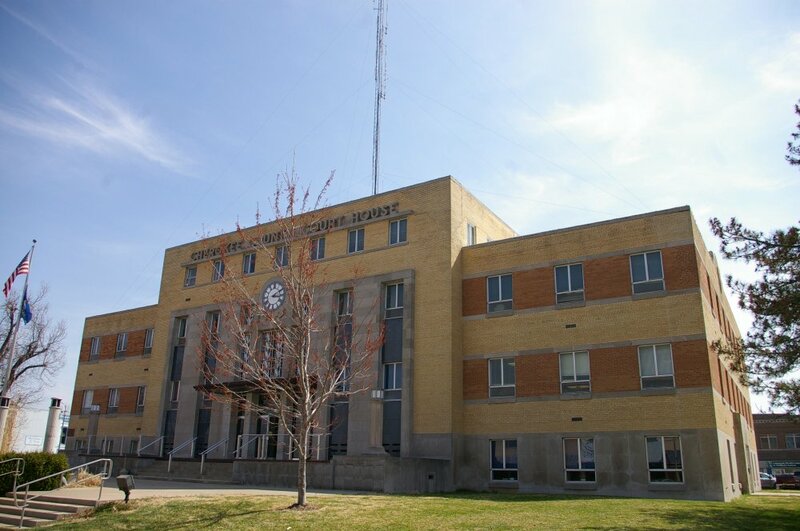 Description: The building facesBuilt in 1955, the modern building is a three story yellow and orange colored brick and stone structure. 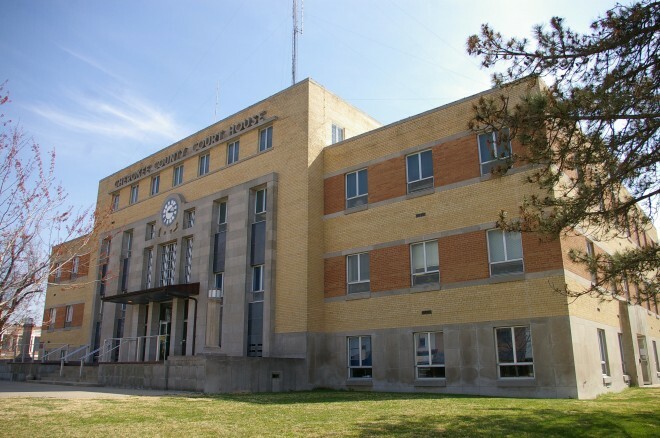 The building faces north and was completed in 1956. 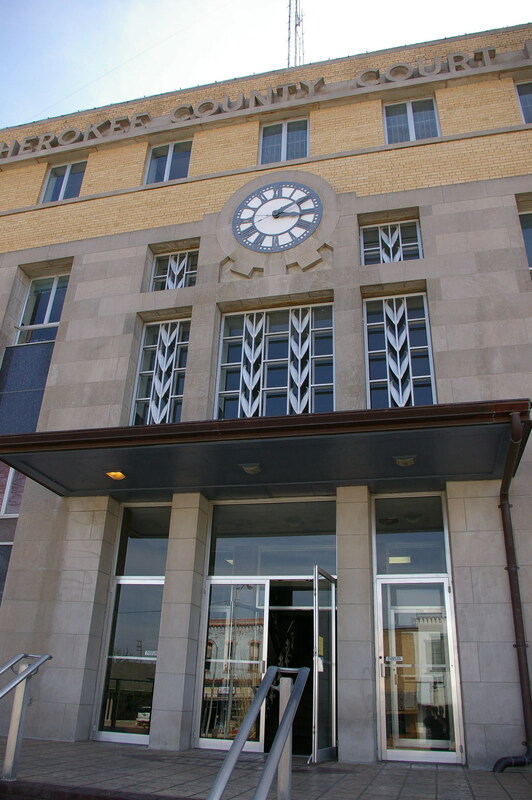 The north front has a projecting central section with stone facing on the first and second stories which frames the entrances and windows. 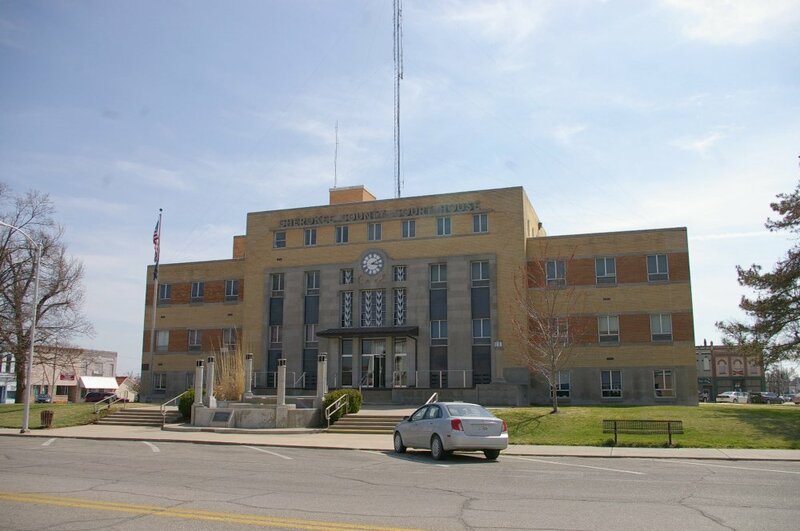 There is a clock at the top of the second story. The east and west wings are lower. 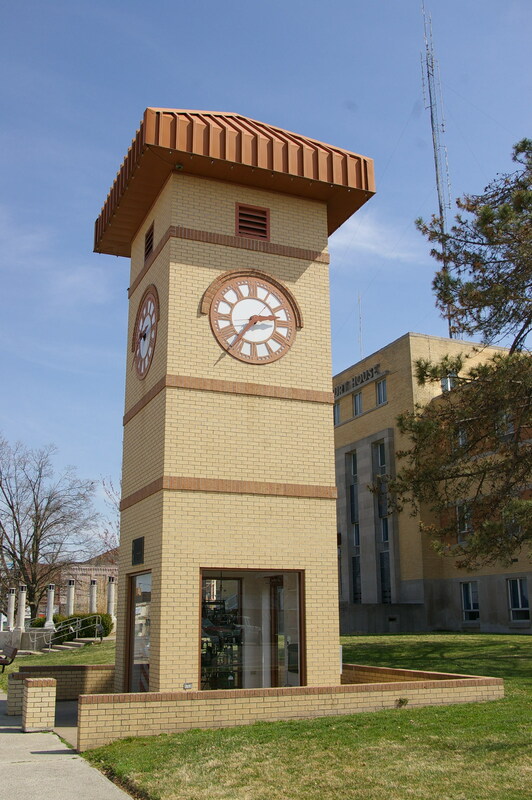 Note: Near the courthouse is the old clock from the 1888 courthouse constructed by Schrage & Nicols.